Table Frisk is inspired by the shape of a hairpin. The way a hairpin keeps a girls hair together, the table’s feet keep the table as such together. Due to the fact that the feet fall into the tabletop, they are not a mere addition. At the same time, the feet provide the table with a frisk and playful attitude. Not one side of the table is the same length and the table’s shape allows you to see and have contact with all the other people around the table. 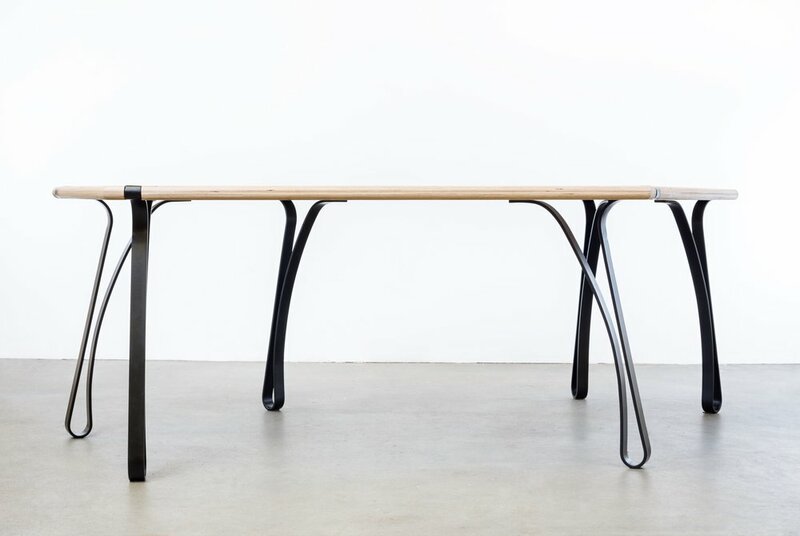 The feet are made out of bent steel, whilst the tabletop is made out of multiplex birch.